Hormel Foods Corp. employees in Austin put together care packages on Thursday that will be donated to the Fisher House Foundation to feed military families for the Easter holiday. The partnership is with the Hormel Cure 81 brand and Fisher House, a non-profit organization that houses military families for free while their veteran family members are treated at nearby hospitals. The care packages will be sent to 37 Fisher House locations across the country with more than 1,200 expected guests and a total of more than 3,300 pounds of Hormel Foods products. Hormel Foods was the first company to donate food on a national basis and this year marks the fourth consecutive year of the partnership. 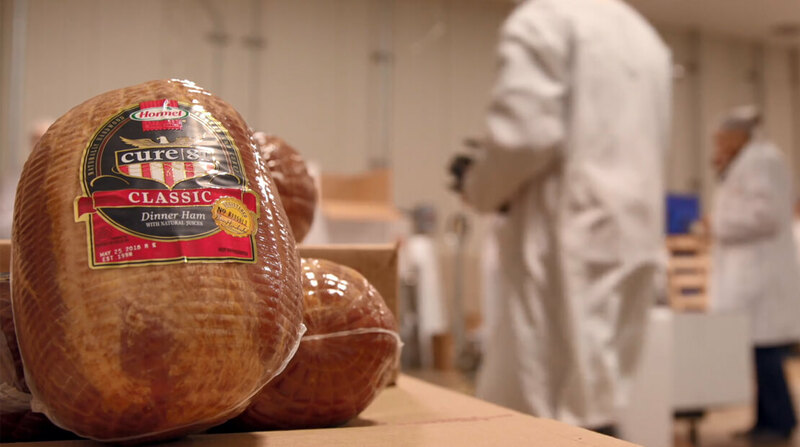 The Hormel Food products included in the care packages are Cure 81 boneless ham, Black Label brand bacon and Canadian bacon, Gatherings brand party trays, Skippy brand double peanut butter P.B. Bites, and Sides brand home-style mashed potatoes and cinnamon apples.